After working in this field for the last fifteen years it is so apparent to me that no two people are the same. That is why I believe that every person needs to be treated differently and uniquely. I use my own life experiences to motivate and inspire people. Drawing on various techniques and different methods of therapy to help each individual. 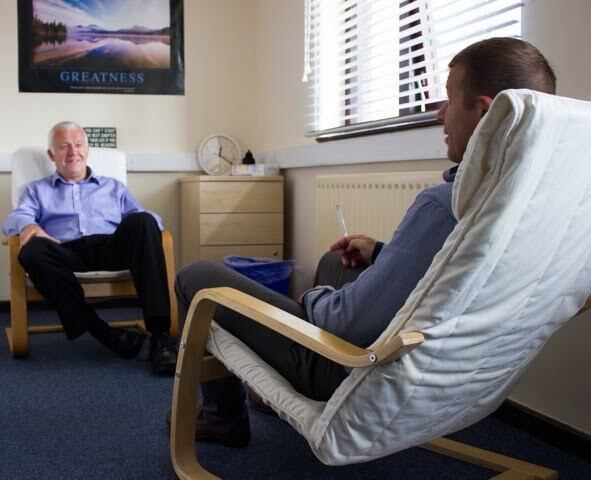 I passionately believe that therapeutic and coaching skills complement each other, which is why I combine them both in a safe, professional and confidential environment. My approach takes the form of change facilitation – in essence, it will enable you to take positive action on any aspect of your life that you choose to focus on changing or improving. We can cover virtually every aspect of personal development that you or your colleagues might aspire to. It is extremely adaptable as its focus is on enablement and reflection allowing you to decide and discover what is right for you. This work offers greater flexibility for people with a busy lifestyle. I will initially meet you face-to-face and can then provide follow up coaching sessions at a mutually convenient time eliminating unnecessary travelling time and costs. My goal is to work with you the client to help you find the answers for yourself, whether that is to help you climb the career ladder faster, to gain fulfilment at work and at home, to improve relationships with family and partners or to achieve optimal work-life balance. My primary goal is to work with you to become a powerful leader of your own life. I have worked with professional boxers, speedway riders, rugby players, actors and actresses, models, business professionals and people from all walks of life to help them to reach peak performances. I have also had tremendous success in the field of weight loss. I will work with you to overcome your challenges and/issues to achieve successful outcomes designed specifically for you. Increase acceptance and appreciation of yourself. And much more. If there is something that I haven’t listed then please give me a call, I would love to help you!